5 ways to respond to a polluted city: What type of Beijinger are you? Can it be safe to live in a polluted city like Beijing? AirVisual examines how different Beijingers respond to air pollution and what difference this really makes to the level of pollutants you breathe (clue: a lot). Which type are you? In the final episode of their whirlwind adventure of mask try-outs, community members Daniel and George offer their user impressions of the ups and downs of these “similar, but uncannily different” pollution masks. Ready, get set - in this episode, community members Daniel and George compare two popular pollution masks for for cycling and other sports. See what? This week, air quality community members Daniel and George go transparent trying out these two masks for comfort, style and usability. Air quality community members, Daniel and George, offer their off-the-cuff user's perspective on two popular air pollution masks: the similarly named but strikingly different 3M 7501 vs 3M Aura 9300+. Pollution mask aficionados Daniel and George introduce the first instalment in their quest to find the best pollution masks on the mainstream market, dishing out no-nonsense judgement on which of 8 masks they would Cop (buy), or Drop. Are you ready for this whirlwind adventure? Are we free from pollution in shopping malls? Have you ever considered how exposed to pollution you are when you go to a shopping mall? Maybe you should, a study we have carried out at AirVisual shows some interesting results. Following the UK's recent vote to leave the EU, we catch up with Alex Keynes, a public policy consultant in European Parliament and adviser to London MEP Seb Dance. Choosing the right air pollution mask can be a life-saver! Our guide will help you discern between the good and bad of air pollution masks. Don't let humidity dampen your mood. Our quick-fix, pro-tips will have you looking and feeling great! Indoor air pollution may be the hidden culprit behind your sniffles and fatigue. Incense is frequently reputed to have calming effects on the mind and body – but the effects are not all benign. How accurate are Malaysian air quality readings? 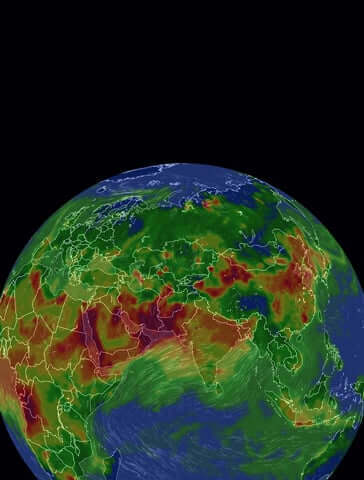 AirVisual looks to debunk the idea that Malaysian air quality is better than Singapore's. Air Visual finds that “Parade Blue” was two times clearer, in regards to PM 2.5 concentration, than any other two week period on record, including “APEC Blue” and the 2008 Olympics. Two weeks of "excellent" air quality in Beijing - magic? Government sanctioned clean air for the IAAF championship and upcoming military parade have Beijingers breathing happy. Air Visual’s real-time monitoring of the Washington wildfires sparks a discussion in regards to the health risks of wildfire smoke - and the best procedures for reducing one’s health impact. Education, awareness and healthy government investment help propagate change in a city notorious for air pollution.